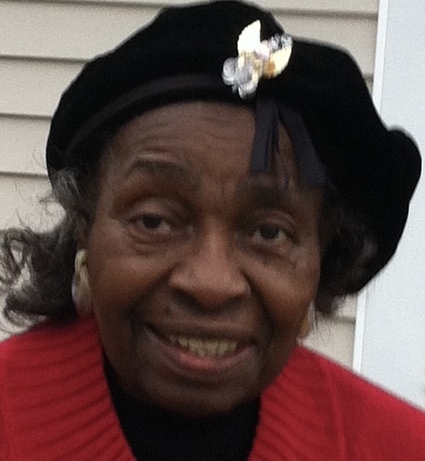 Mother Rosa Lee James, 92, departed this life Tuesday February 12, 2019 in Georgia. She was the mother of Dr. Ernest Lee James, Linda James Coulter, Timothy James, Doris Ann James and Steven Dennis James. You may visit the family at 904 Strawberry St. Marion. Funeral services are scheduled to be held at the Mt. Pisgah Missionary Baptist Church Monday February 18, 2019 at 11:00 am. She will be laid to rest in the Devotion Gardens Cemetery, Mullins. Mrs. Rosa Lee James was born on June 26, 1926 in Latta, SC. She was the daughter of the late Frank Leggett and Lillie Bethea. She was married to the late Calvin C. James. She was predeceased by a son, Calvin James Jr., a sister Willie Mae Leggett and an aunt who became her guardian, Nora (Honey) Leggett. She attended public schools in Marion County. In Marion, she joined Mt. Pisgah Baptist Church at a young age. She later moved to Augusta, Georgia where she affiliated with Mt. Calvary Baptist Church as a watch care member. After connecting with other senior citizens in Augusta, she took jewelry making classes and for several years spent her free time making earrings and necklaces for friends and family. She also enjoyed gardening and loved to grow flowers. However, her pride and joy were her children, grand children and great grands. Nothing made her happier than visits with her children. She leaves to cherish her memories three sons, Dr. Ernest Lee James (Dorothy), Timothy James (Carolyn) and Steven Dennis James, two daughters Linda Coulter (Virgil) and Doris Ann James, five granddaughters Kecia R. Graves Elvis, Jennifer Marie Collins(Kai), Jana Rosa James, Timeka C. Brown (Orlando) and Vanessa Erin Coulter, two grandsons Kendall R. Graves (Amy) and Jamal T. James, 15 great grandchildren, the youngest of whom is affectionally named Lillie after Rosa Lee’s mother, grand nieces and nephews, other family and friends.